Everyone wants to have a clean & clear skin. There are so many products in the market can actually help you to achieve the beautiful skin that you always dreamed of. If you were to ask me: "what are the secrets that could be keeping your skin clean, dewy and clear?" I would be thinking clean your face thoroughly and use face masks as part of your regular skin care routine. Cleansing is one of the essential for every good skincare routine, because it removes every last trace of make-up, pollutant or toxic chemicals, while face masks help address specific skincare concerns such as dullness or oily skin. Now, you may be wondering, out of so many products, what products would be good to use? No worry at all! I have the clean & clear skin solution right here for you! 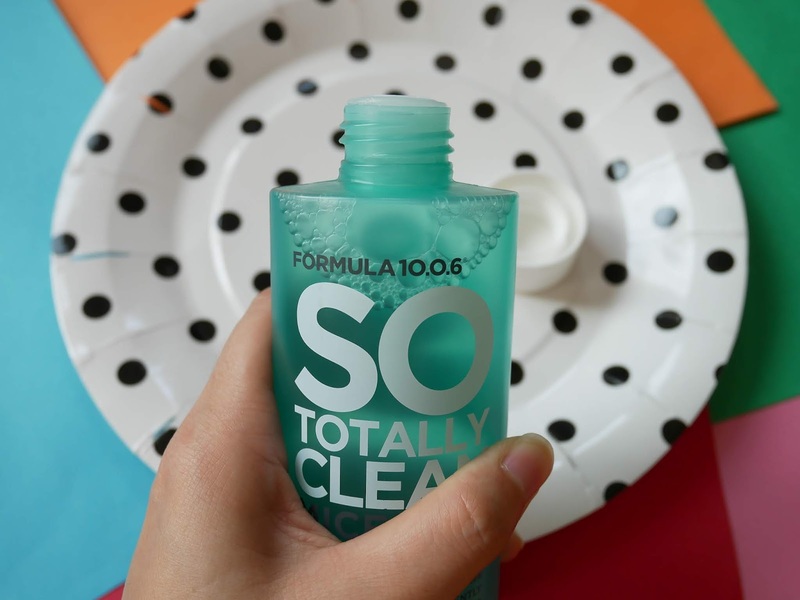 That is Formula 10.0.6 which consists of three different products; Micellar Cleansing Water, Skin-Detoxifying Peel Mask and Skin-Purifying Bubble Mask! Formula 10.0.6 is created by a chemist in 1933. It's an iconic and credible skin care brand that offers multi-benefit skin solutions and also effective in addressing young consumer skin care concerns, especially acne young skin. All products from Formula 10.0.6 contain a familiar mix of natural botanical that are on-trend in order to deliver a range of accessible, effective and easy to use products to promote clear and healthy skin with proven results. The brand has a wide product range such as cleanser, mask, moisturizer, patches etc. First thing I like about Formula 10.0.6 is their colouful packaging which designed with a vibrant sense of style. 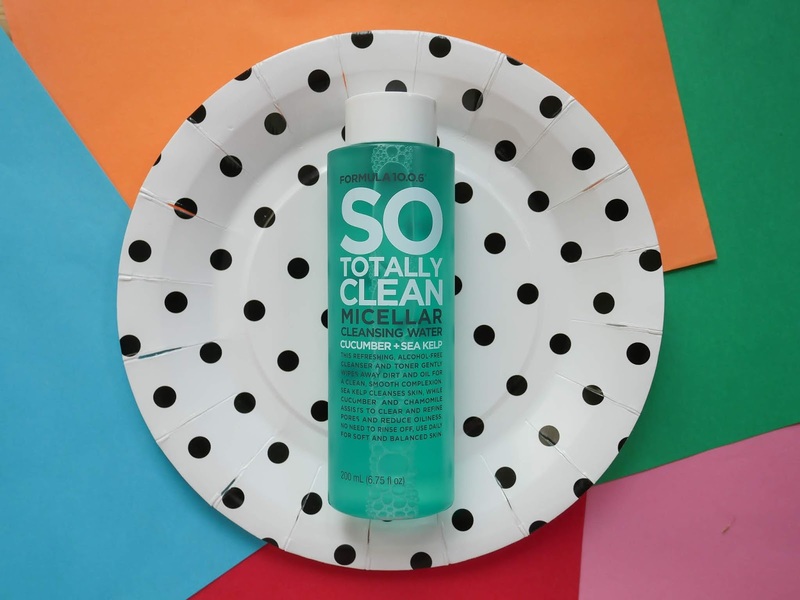 So Totally Clean Sensitive Everyday Cleanser @ RM39.90 (200ml) is an unique, alcohol free cleanser aka toner that can be wiped away dirt and oil directly over skin, leaves the skin refreshed, pure and gloriously soft after using it. 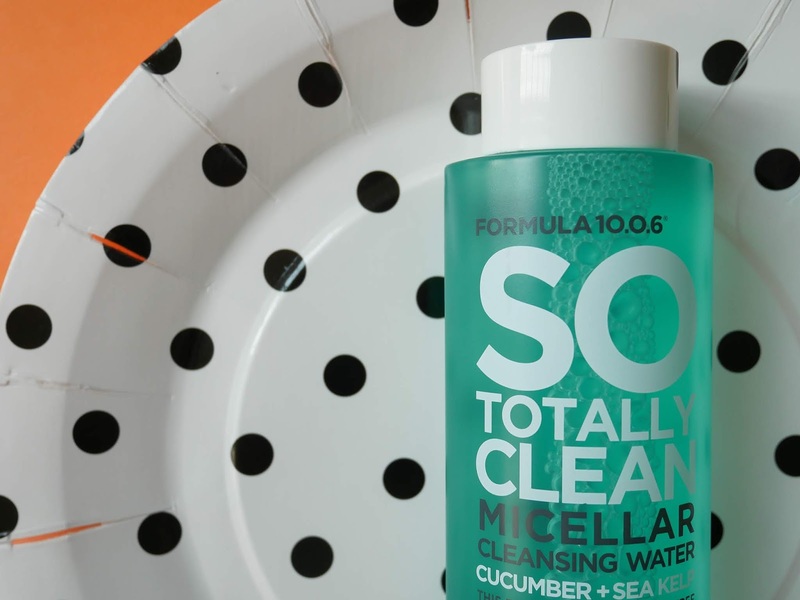 So Clean cleanser contains main ingredients of cucumber that praised for its refreshing and cleansing powers, while sea kelp and chamomile are for calming and soothing in order to wash over skin to detoxify, clear oil and heal impurities. Other than that, the cleanser also contains some other ingredients such as witch hazel, echinacea, lavendar as well as Fennel too. The packaging of the cleanser is straight forward, comes in a transparent plastic bottle which has a screw cap on it. The size of the bottle is quite small, and also in a light weight, which makes it easy to store and also carry it around with you. The texture of this toner aka cleanser is in water-based. It has a light green colour, and also it smells like cucumber which is very light and fresh. The best way to apply it is to use cotton pad and rub it over your whole face morning and night. You can see the how well the cleanser cleaned off the makeup, dirt and extra oil from my face. 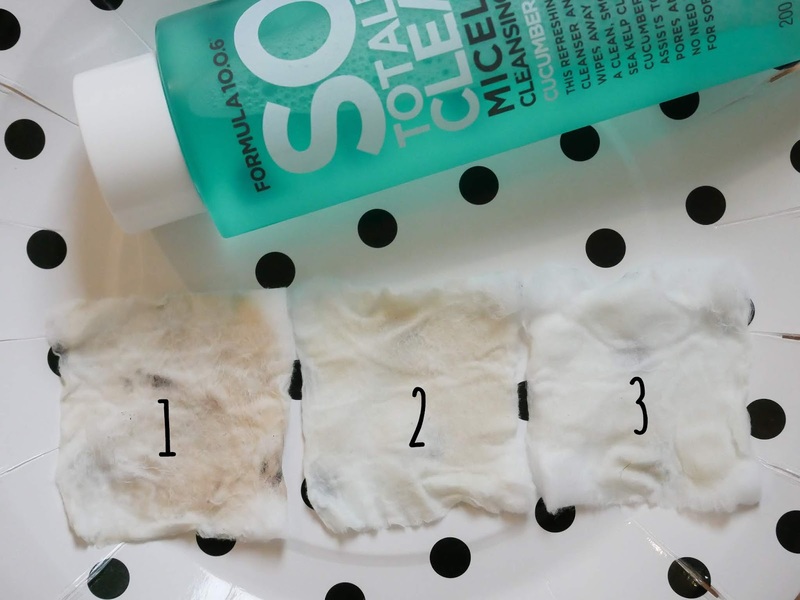 From left; first wipe, second wipe and third wipe, whereby you can see the third cotton pad is much cleaner than the first and second ones. Without any doubt, my skin just loves it so much. The moment I used the cotton pad to pat the product on my skin, my skin is soothed and so refresh. I used it day and night time; day time as a face toner, and night time as a "pre cleanse" for makeup remover. 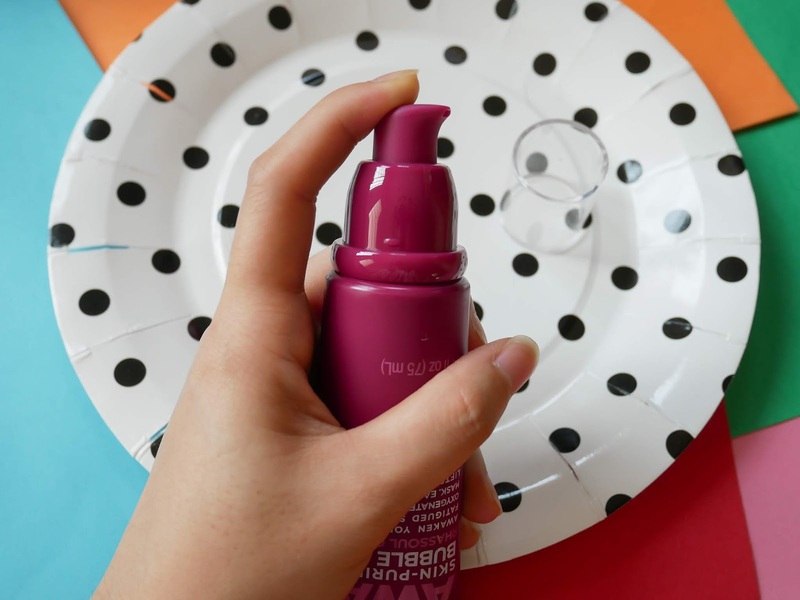 Though the product said that you do not need rinse it off, I still carry out my routine with my cleanser in the evening to make sure the leftover makeup that seeped inside my pores had removed. But for the morning routine, I do not rinse it off and just continue with my daily skincare regime. 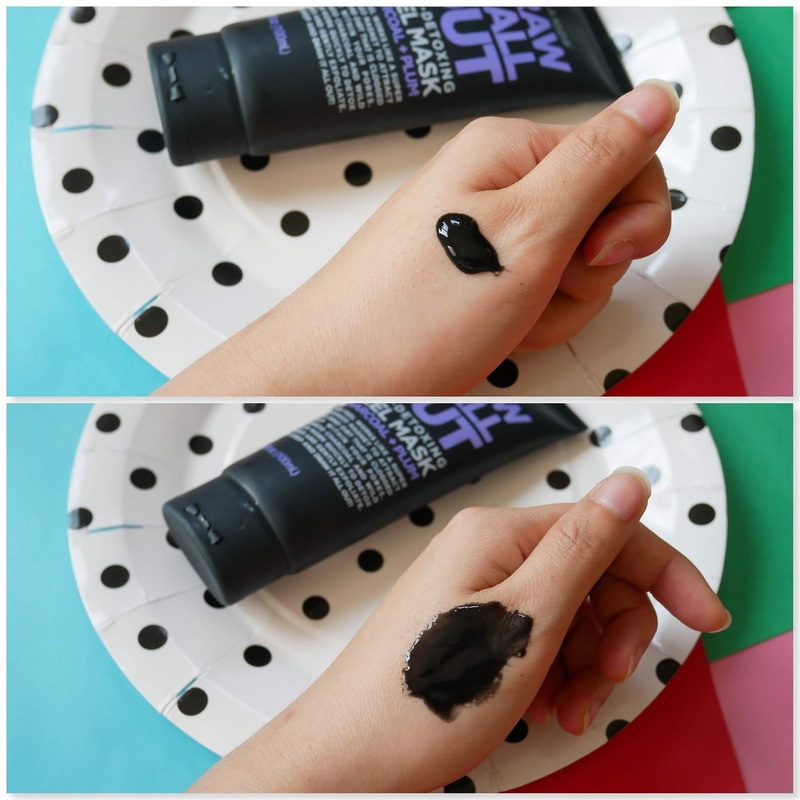 Draw It All Out Mask @ RM39.90 (100ml), works like a super charged magnet to attract and bind dirt that is clogged deep within your pores. The key benefits of the product is bamboo charcoal detoxifies pores, absorbs impurities and toxins and lightly exfoliates the skin. The black mask contains wild plum fruits extract which is a complex mix of three different Australian plums to help nourish, moisturize and invigorate the skin. Other ingredients include some natural moisturizing ingredient and also derived from sugar beet molasses. The packaging looks very cool with all black colour. It comes in an easy tube packaging with a screw up. I always like this kind of packaging when it comes to face mask as the tube pack is sturdy and completely spill-proof that makes it easy to carry while traveling. 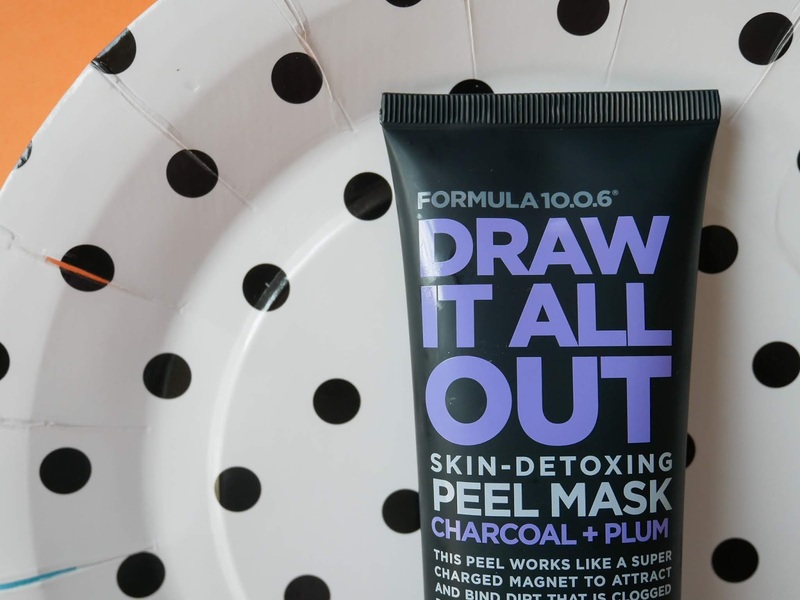 If you've tried a peel-off mask before, I think the texture is almost the same as the draw it all out peel mask from Formula 10.0.6. It has a tacky, rubbery texture that gets a bit sticky on application. Some of the peel-off masks have a pretty strong smell, but this one is very gently that it will just smell like some fruits. 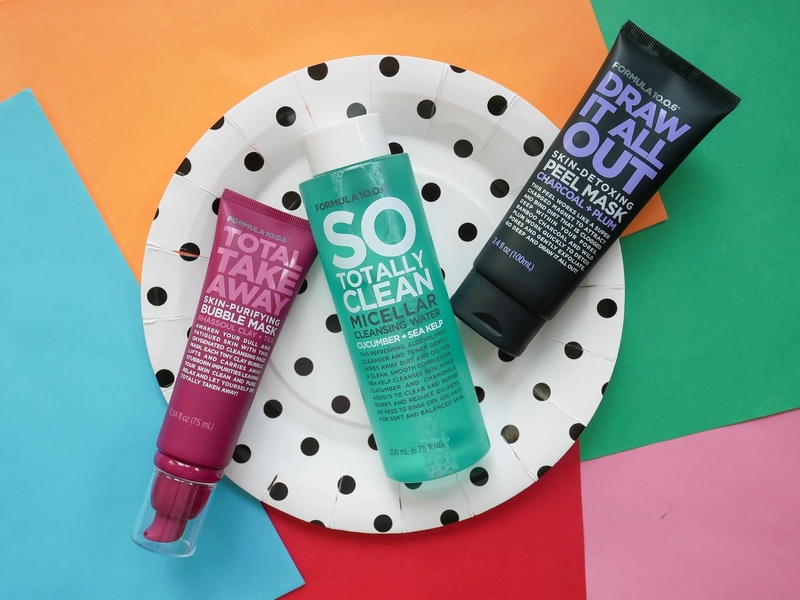 #1 Apply to a clean, dry skin. #4 Finish by rinsing skin thoroughly with warm water. 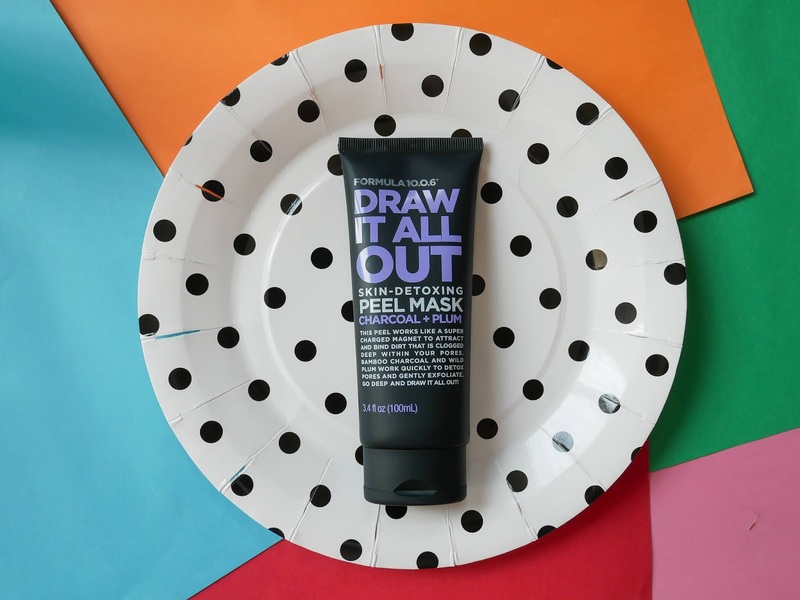 One thing I absolutely love about this mask is it clings to my skin upon the application. When I peeled it off it feels like I'm pulling out all the gross things such as stubborn lack heads and white heads that clogging my pores. Another advantages of this product is it helps to exfoliate my face at the same time so that my face can be brighter and lighter after removed the mask. The product is not harsh though it said that there will be a mild tingling sensation upon application of this mask, yet I do not feel uncomfortable or irritating at all. Remember to take your time to peel off the mask gently when it's dried up, so that it will not hurt your skin. 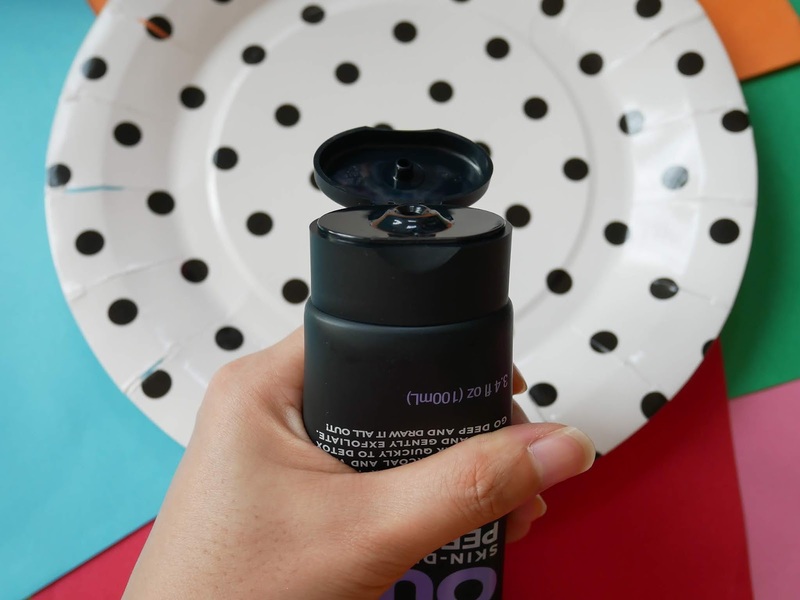 Don't worry, it peels easily and easy to clean up after all! 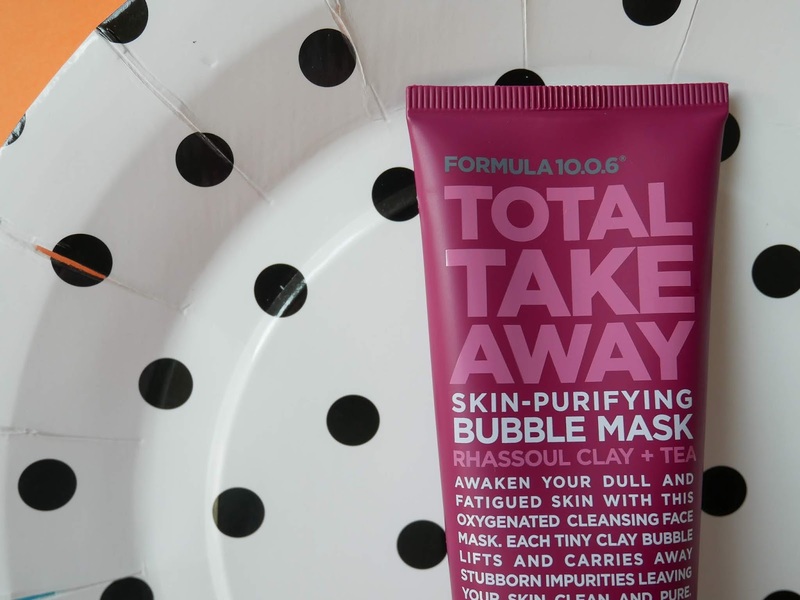 Total Take Away Skin-Purifying Bubble Mask @ RM49.90 (75ml) is an oxygenated cleansing face mask that helps to awaken your dull and fatigued skin. Each tiny clay bubble lifts and carries away stubborn impurities leaving your skin clean and pure. The bubble mask contains ingredients of kaolin, bentonite, rhassoul clay, tea, and some other natural moisturizing ingredients derived from sugar beet molasses. The mask comes in an easy to use pump tube. I adore this kind of packaging, which makes it so easy to use, store the products without over-using it and also very convenient to carry when traveling. The texture is very cloud-like but quite lumpy. 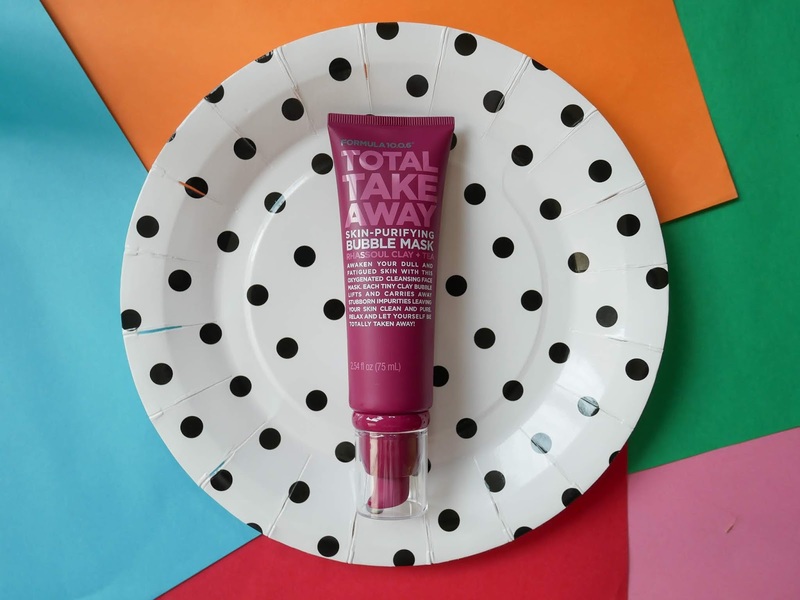 It's easy to spread over your face as you only need a thin layer. The mask has a powdery scent which makes you feel pleasant when the mask sit on your skin for a few minutes. Anyway, you can see how it bubbles up from the first picture to the second picture. Personally, I love this kind of bubble mask ever since I started using it for a year. I usually use the bubble mask twice a week to make sure my skin is feeling soft and clean. This skin-purifying bubble mask is in a super light grey colour when it coming out from the pump. The foams bubbled up very quickly once you applied it on your face. When the mask started to spread, I can feel the bubbles are bursting slowly on my face. But no worries, I did not feel uncomfortable though there were some tingling sensation. 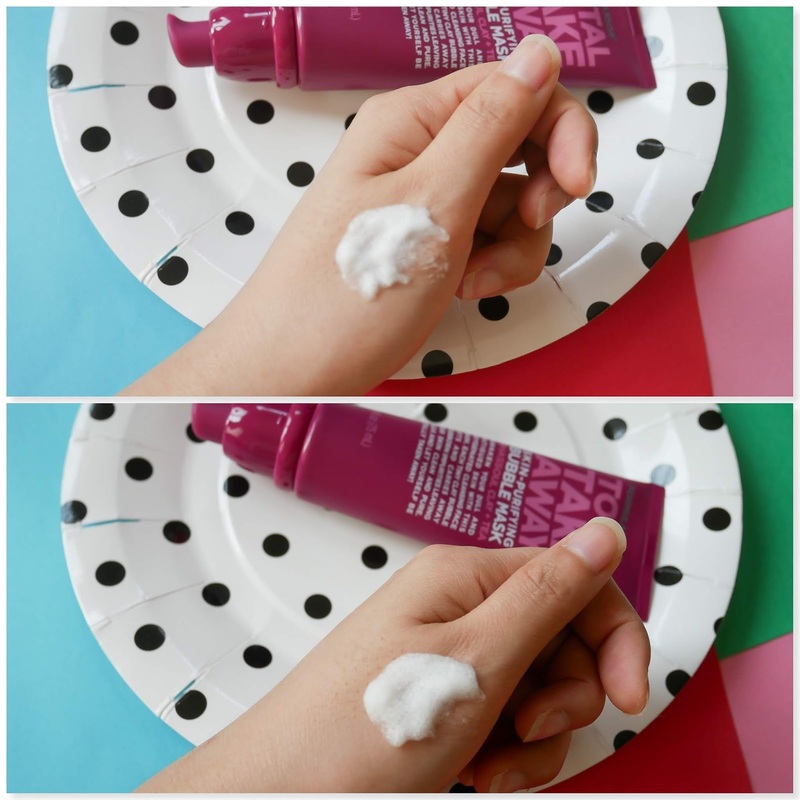 When I wiped off the mask, my skin instantly feels cleans, fresh and brightening after that! 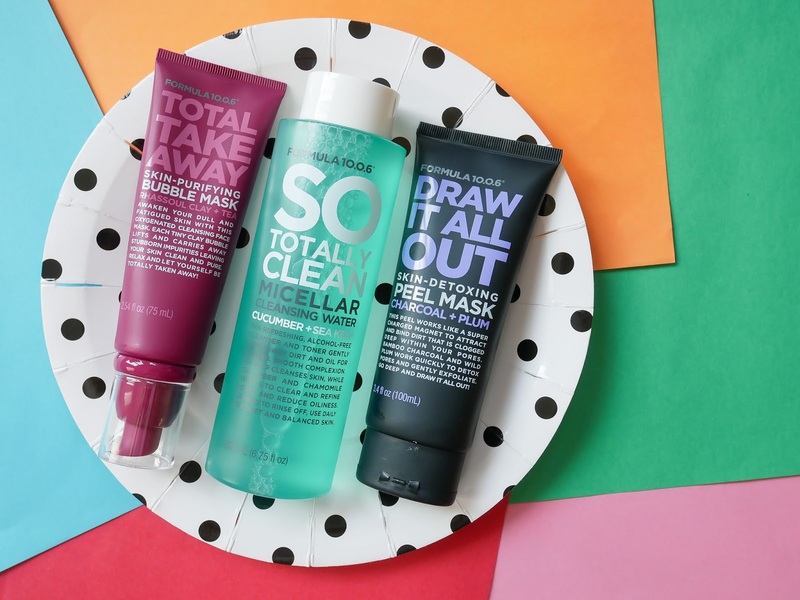 If you never tried a bubble mask before, I think you should go and try it yourself! Where to Get the Formula 10.0.6? All in all, I would said all these three products from Formula 10.0.6 offer a honest and uncomplicated approach to your skincare routine. They certainly will help you to achieve a clean &clear skin perfection. However, it is recommended to complete patch tests on skin before using any Formula 10.0.6 products if you have sensitive skin. Other than that, I also think these products are selling very affordable pricing, so I think it's really worth a try! Hope the new beauty sharing will help you to achieve a beautiful skin! I will see you again on my next post soon!